The story of underwater filming is spreading like wildfire in every industry and is the talk of the big town now. 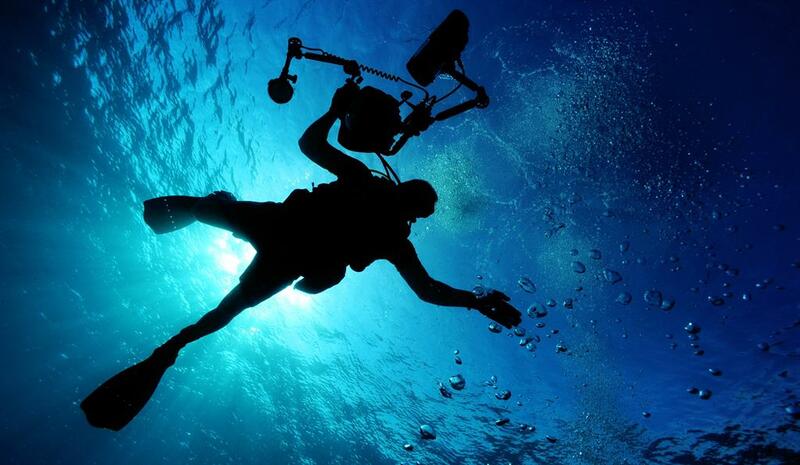 The last decade has witnessed a tremendous growth in underwater cinematography. With minimal sources and maximum effort, the underwater filming services have revolutionised the untouched landscapes of underwater filming in Kerala within the last few years. With technology advancements, cinematographers and film service companies started to use high definition digital movie cameras and other types of equipment that can bring out visual effects and mesmerising scenes. Now, from underwater cinemas to conferences, launches and wedding, the underwater cinematography is getting popular and desirable in all phases of various industries. With models and actors ready to take the plunge, the underwater cinematography is creating a splash in movies, fashion and various other industries. Also, the underwater cinematography is creating ripples of excitement in the glam world with its wow factor. Mollywood industry has seen a good number of films with impressive underwater scenes. Anarkali, the Prithviraj-starred Malayalam film was a blockbuster with several underwater sequences that opened a sea of opportunities for cinematographers and shutterbugs. To name a few, Mosayile Kuthirameenukal, Naran, Kochavva Paulo Ayyappa Coelho, Kuttadan Marappappa, Hey Jude, Anarkali and HoneyBee are some of the famous Malayalam films with grand underwater scenes. The visual splendour of the underwater scenes and a sensible tale all together made all these films a huge success. 'Ettekal Second' is the first Malayalam movie in which the entire shots of the movie song 'Kaathramaam Mizhi' is shot underwater creating a wonderful experience to the viewers. Setting a new trend in the Malayalam industry, the audio launch of the Sravan Mukesh starred movie Kalyanam was also held underwater off the Kovalam coast in association with Bond Safari Kovalam. Shooting a commercial is hard enough. How about shooting one entirely under water? Don't get confused. This is the new trend followed by many brands to advertise their products. From postcards to beer to cars, the world is witnessing new product launches under water. This builds a unique opportunity by creating a magical space with an exclusive environment that makes you want to be there. The film industry is also making brave moves with audio launches under water. If you watch the T-Mobile product expert unboxing and reviewing the Samsung Galaxy S7 underwater, you will be wondering how all these can be performed under the water. Though underwater scenes have become an in-thing for many movies, doing it in the perfect way is not everyone's deal and not all cinematographers are Jack and Jills of this trade. The shoot might be tough, have to conquer the fear of the water actors, or shot at least 13 meters under the sea; hence the risk is also high. Here arises the importance of any underwater scuba diving or snorkelling experts. Behind the camera, there needs a scuba team in full swing. The scene will be shot in several sequences depending on the actors' ability to hold their breaths underwater. When it comes to underwater service providers, Bond Safari is the pioneer in Scuba diving in Kerala and snorkelling in Kerala with an excellent team to support all your underwater adventures. Being the top underwater service provider in Kerala, they have a full-fledged team having expertise in controlling waves, understand pressure variations, handle the camera and finally get the shots perfectly as well. Why Bond Safari for Underwater Cinematography Services? It is widely recommended that taking underwater training from a professional is very much needed to get perfectly shot videos and photos. Providing professional services, Bond Safari is now a veteran when it comes to shoots in the water world. Without burning a hole in your pocket, Bond Safari team helps you capture the scenes with the utmost precision. Bond Safari team is specialised in underwater filming and they deal in underwater services such as scuba diving, snorkelling, underwater photography, cinematography and other kinds of filming services in Kerala. Teaming with Bond Safari will help you produce fresh and unique underwater scenes in your budget. Also, your filming will improve only if you are at ease in the water environment; surf breaks can be dangerous and can pull you into the sea. With Bond Safari, you can assure the safety of the models, actors, camera operators and whoever engaged in the water filming. Bond Safari the leading underwater film service provider in India is very much passionate in capturing water footage in a very creative and picturesque way elevating your production to the best possible level. At Bond Safari, we ease the complex underwater filming in a time-saving manner without any damage or loss. The team is very efficient to manage everything required to get you the best footage for your marine project. Bond Safari helps your underwater shoot run smoothly assembling the perfect diving team, ensuring full safety, advising on legal responsibilities and capturing the video itself. Providing unique services in underwater adventures, Bond Safari guarantees that you don't damage anything in proximity, making sure that you are not sinking, crashing into dangerous rocks or floating up to the surface. Bond Safari has a well-equipped team to support all kinds of diving and underwater audio and video experiments. They provide camera crew, underwater camera person, video production services, film permit assistance and much more. With Bond Safari, you can carefully and easily drive, shoot and enjoy underwater like never before. The underwater cinematography is exciting, super fun challenging and innovative. For those who love adventure, wish to explore the water world and make their events super exciting in and around water, Bond Safari team will help you be amazingly creative in the water with no worries. Dive in!